Back in October of last year, we reported on a bit of a kerfuffle between The Witcher video game developer CD Projekt Red and author of The Witcher books Andrzej Sapkowski. Basically, Sapkowski wasn't happy with how much money he'd received from the studio in order to use his work as the basis for its games. A deal was struck between the two parties years ago -- before the release of the first Witcher title -- but rather than demand ongoing royalties or anything like that, Sapkowski settled for a lump sum at the time because he didn't think CD Projekt Red's series would be a success. 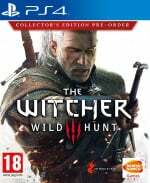 Obviously Sapkowski was wrong, and following the huge success of The Witcher 3, the writer entered into something of a legal dispute with the developer. He demanded more money, claiming that he wasn't paid for any of The Witcher games past the original instalment. Reportedly, $16 million was Sapkowski's price. CD Projekt Red stated that it wouldn't budge, however, calling Sapkowski's claims "groundless". The whole thing went silent for a while, but now we've learned that the Polish studio will indeed offer Sapkowski compensation. It seems as though the two parties have come to an understanding, although the developer certainly won't be handing $16 million over. The compensation will be a "much lower" amount according to Polish publication Puls Biznezu, with CD Projekt Red looking to "maintain a healthy relationship" with the author. A statement from CD Projekt Red reads: "It is the Company’s will to maintain good relations with authors of works which have inspired CD PROJEKT RED’s own creations. Consequently, the Board will go to great lengths to ensure amicable resolution of this dispute; however, any such resolution must be respectful of previously expressed intents of both parties, as well as existing contracts." All's well that ends well, we suppose? I still think Sapkowski shouldn't have got anything. He wasn't entitled to any money, and he must have had a fairly big boost in book sales as a result of the popularity of the game. There's also a Netflix series coming out, and I expect he's made sure he's getting paid for that. I doubt the TV show would exist if not for the popularity of The Witcher 3, so he's doing ok.
Sapkowki's books are a fantastic read but the guy himself sounds like a right grumpy old git. I reckon he based Geralt on himself. Maybe about $1 million then? Glad it's sorted anyway. @ApostateMage The main reason I haven't read the books is how putt off I am by the guy. Every interview I have read from him he comes off like a real jerk. Nice one CD projekt. And glad the author also accepted. A win-win although legally CD projekt didn't have too. How refreshing. @JoeBlogs On the flip side, would CD Projekt Red be what they are today without the works with which their only released games were based? All-in-all, I think this ended well. 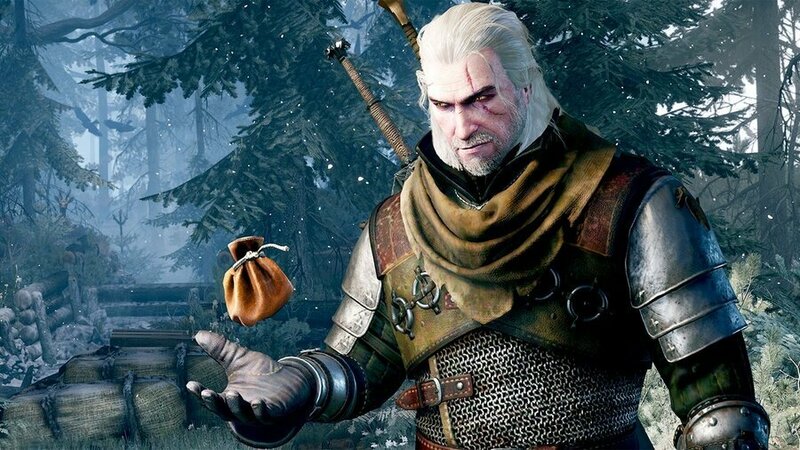 The author will get a little more credit for his role in the series existence (albeit if only providing the source material), and CD Projekt Red can continue making Witcher games in the future if they so choose. Lotta respect for that company. Day 1 buy for CB. Everyone needs to watch noclip witcher documentary. I kept reading online how there was no way they'd ever do that. Guess all those people were wrong, which is far from surprising. @Splat Don't let that put you off reading his books. Honestly, they are really good, full of great characters and often quite humourous. It also makes playing The Witcher games better because you get all the references. @Splat My disdain for the developer was one of the reasons it took me so long to finally play The Witness. It was an interesting experience, though, so I'm glad I did. One case I can't get over is John Scalzi, though. I owned Old Man's War for years, having always intended to read it after hearing how it was a modern classic of military sci-fi. And then I made the mistake of reading the author's posts on social media (primarily Twitter). I've never wanted to punch a guy so badly in my life. I finally just ended up selling the book, as I don't think I can separate author from creation enough to enjoy it in this case. @NintendoFan4Lyf A fair point. Sapkowski agreed to the original deal though, thinking the games wouldn't be that popular. That was the risk he took. Hopefully they deducted the legal fees from what they intended to give him. @Mikethemosher Totally agree on the noclip docs. I'd say the one about the formation of CD Projekt Red is just as good. Everyone should look them up if they haven't already. @JoeBlogs Very true. Though, Polish Copyright laws do have some verbiage that allows copyright holders the right to request more compensation in instances like this. I don’t remember the exact wording, but I believe it is there to protect people from getting ripped off. Now, I don’t think CD Projekt Red were intentionally trying to give the author a raw deal. In fact, I don’t even think they predicted The Witcher games would be the success it has become. It’s nice that CD Project Red wants to end things peacefully - hopefully the author feels the same way. Yeah, this is a good all round job. I know people are saying that he doesn't deserve it because he's a bit of a git, but let's be honest - if the company was EA or Activision we'd all be thumping our fists on the table. This carte-blanc contract was signed with 2004-ish CD Projekt, who were a super small company who released a eurojanky game called The Witcher with it, who could have seen they would become what they have? With money from cameos in other games flowing in? If I was the author you'd bet I'd want to get the contract changed. @NintendoFan4Lyf I work in a Polish law firm (as a proofreader) but I haven't come across that law yet. Not saying it's not true; I have no actual legal training lol. It doesn't really seem fair to CDPR though. But yeah, if everyone's happy now, then it's all good I suppose. You made the wrong financial decision and should have been man enough to admit you made an error. I would have told him to ... off. @Jaz007 In some ways, I don’t blame him - except maybe the whole god-complex regarding his books being superior to all other media. An entirely unknown game developer states they want to make a game based on his Witcher series and offers him a choice between paid now and paid per sale. The company had no portfolio to back up any claims of quality and honestly, the first game isn’t great to play. I kind of don’t blame the author for being hesitant to trust a royalties fee. @JoeBlogs He cited Article 44 of Poland’s 1994 Copyright Law - if that helps. @NintendoFan4Lyf @Jaz007 Yeah The Witcher series is a crazy success story when you think about it. The difference in quality between the first and third games is insane. I doubt CDPR ever saw the franchise taking off like that, never mind the author back before the original Witcher released. Wild Hunt was really a perfect storm. It had been years since Skyrim, which in a lot of ways popularised the modern fantasy RPG game as a mainstream genre, and people were hungry for another RPG blockbuster. On top of that, current-gen consoles were just hitting their stride, and The Witcher 3 hit at a time when it almost seemed like the first truly "next-gen" game. It wasn't cross-platform, it looked incredible, and it raised the bar for the entire genre. So yeah, I think many would have done the same as Sapkowski back in the day, even if it did mean that he'd be kicking himself years later. @ShogunRok I agree. The success story is quite interesting (especially for Sony fans) given that the original title was kind of rough and PC-only while the second game was improved slightly and was restricted to either PC or Xbox 360. My only major complaint with The Witcher 3 is how bad the horse controls - I would be curious how the pathing logic works for Roach because I absolutely hated having to ride her. Take your hand off the analog stick in the middle of a field and the horse just suddenly turns to find the nearest road. Take your hand off the analog stick on a road and the horse just continued straight at an upcoming bend....what?! I have to give the best horse mechanics award to Breath of the Wild. I've never read the books (not a fan of books generally), and I've never played the games as I'm not an RPG fan. But I've followed the story, and I think CDPR have been extremely generous to do this, since the general consensus had seemed to be that the guy really didn't have a legal leg to stand on. That's not how IPs work. If you want to make a new commercial project on an existing IP you have to work it out with the IP holder and pay them a reasonable sum. He made his choice. He should not be getting anything.